Renowned human rights attorney Jesselyn Radack, launched WHISPeR to protect the most controversial and courageous truth-tellers in the world. Since 2008, Radack has been at the forefront of protecting and defending national security and human rights whistleblowers, representing truth-tellers like Edward Snowden, Thomas Drake, Bill Binney, and John Kiriakou, who told the public the truth and have been exiled, criminally investigated, or prosecuted under the Espionage Act. WHISPeR made history as the first project of a journalistic non-profit, ExposeFacts, to provide affordable legal representation to sources. Launched by the Institute for Public Accuracy in 2014, ExposeFacts promotes whistleblowing with a unique blend of independent journalism, methodical organizing and public outreach, and houses an advisory board of the most prominent and courageous journalists and whistleblowers of our time. Truth-tellers protect democracy, and WHISPeR protects them. Your donations provide the independent funding that allows us to represent the government’s most aggressively prosecuted whistleblowers. In several cases we were the first to stand behind clients that no one else would or could publicly defend. Donations to WHISPeR are tax-deductible. Our SecureDrop implementation for ExposeFacts is overseen by the Freedom of the Press Foundation and is only accessible using the Tor browser. As the Freedom of the Press Foundation notes, no one can guarantee 100% security, but this provides a "significantly more secure environment for sources to get information than exists through normal digital channels, but there are always risks." ExposeFacts follows all guidelines as recommended by Freedom of the Press Foundation, and whistleblowers should too. For added security, it is recommended to use the Tails operating system. 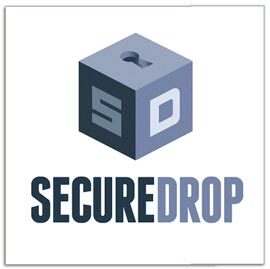 Whistleblowers should not log in to SecureDrop from a home or office Internet connection, but rather from public wifi, preferably one you do not frequent. Whistleblowers should avoid interacting with whistleblowing-related websites unless they are using such secure software.